Heather Wolf’s love of birds was sparked while living on Florida’s Gulf Coast, where she participated in the Florida Master Naturalist program and led walks for the Florida Trail Association. She currently lives in Brooklyn and works as a web developer for Cornell Lab of Ornithology and its eBird project. 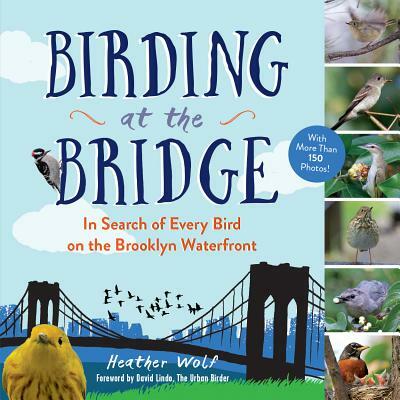 Her blog, brooklynbridgebirds.com, documents the birds of Brooklyn Bridge Park, where she has recorded over 30,000 bird sightings of more than 130 species. A woman of many passions, Heather has taught thousands of people to juggle and won the 2015 NYC Intel IoT (Internet of Things) Hackathon for her design of a “smart” juggling ball.